As I sit here and try to put the pure happiness and joy that this event brought to so many people for 2 straight nights, it’s nearly impossible. This was much more than just, “going to see Bassnectar” for so many people, it was 2 days and nights of nothing but love and happiness. 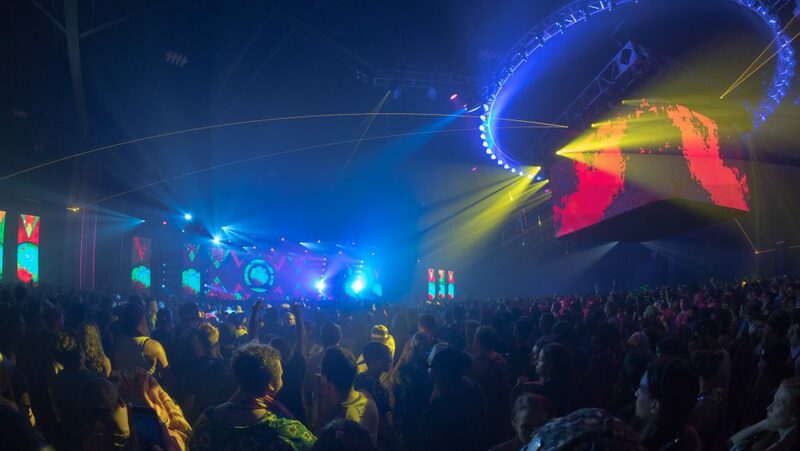 Bassnectar returned to Atlanta for his 2 night run at the Georgia World Congress Center. “Basslanta” was a 2 night run with supporting acts from Hudson Mohawke, Lunice, Truth, Big Wild, ATLIENS, and Hustle Up. This is the first show in Atlanta since performing at The Tabernacle in 2013. Having one of, if not the most intimate and smallest shows in his past few years, it was one of the greatest experiences I’ve had the pleasure of being apart of. This event was so much more than a show, so much more than a concert, more than just a Bassnectar set. This was a gathering of family from all corners of the country that was fueled by love. Beyond the music, beyond the lengths it took some of us to travel, everything about “Basslanta” was perfect. From security being beyond helpful, to plentiful water stations, to the medical team, to the ambassadors, the one of a kind production, and the amazing vibes of both nights. Upon entering the venue, the vibe was nothing short of amazing. Every person I encountered from outside the venue, waiting in line to get in, to the people inside were all smiles, with the pre-nectar jitters and ready for the bass. The crowd ranged from people that I met that had seen as many Bassnectar shows as 57, to a few people I met that it was their first. 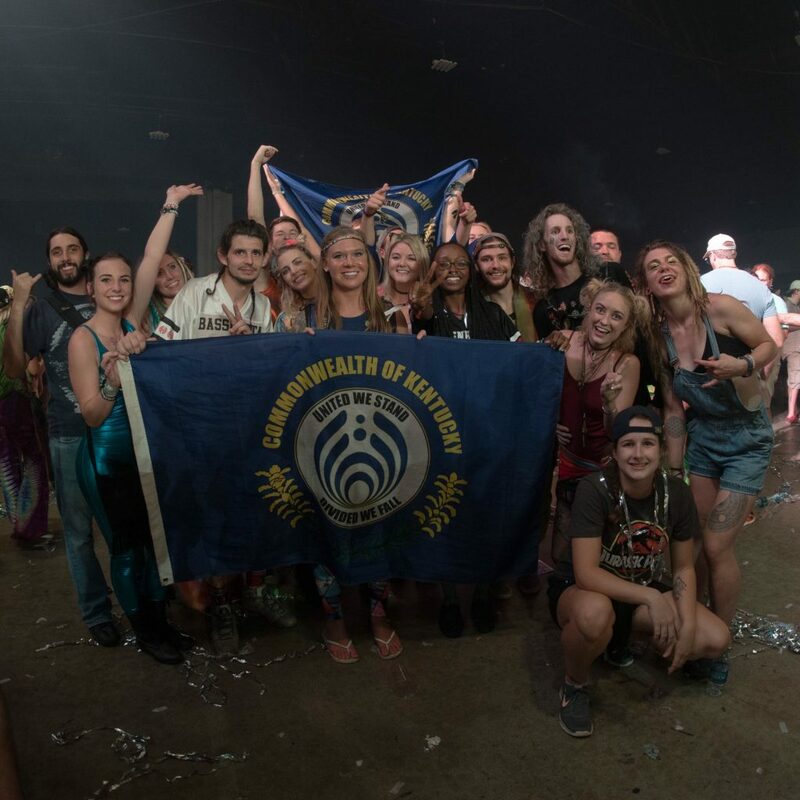 For that night, it wasn’t about how many times you’ve seen Bassnectar, how long you’ve been in the scene, but about loving one another and taking care of each other. In the video below, a fellow patron went down in the middle of the crowd mid-way through the set. The entire crowd immediately reacted to seek medical help and during this time, Bassnectars attention had been drawn to the crowd and seen what was happening. He stopped progressing the music and played the same loop until the patron received help. I think his message at the end of this video tells the how the atmosphere of the building for these two nights were. Upon further looking into the issue, the person ended up being good to go after a bit of time. The Haven you hear mentioned in the video was a separate room set up with refreshments, couches, and ambient music playing in case you needed a cool down. At these events, our main goal is to take care of each other. Nothing more than this, proved this point. These amazing vibes continued all the way through night 2 and circulated all around the town of Atlanta after the show ended. At one point, I even managed to run into someone with an electric car buffer. Being completely appalled and confused at the whole situation, I asked him why he was carrying that around a show? In the seconds following that, he walked behind me, turned it on and gave a mid-rage, back massage. These were the amazing vibes that filled the Georgia World Congress Center for 2 straight days. Even with such amazing people and an eclectic atmosphere, Michael Austin Smalley and team sent it over the edge with top notch, one of a kind production. 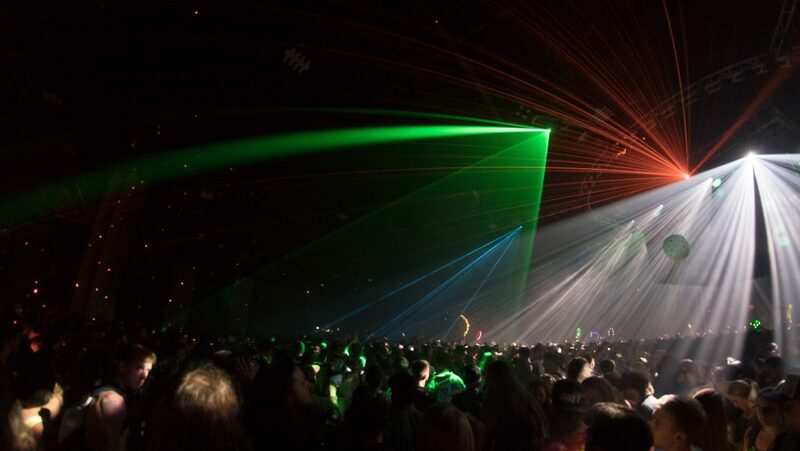 With lasers and lights mounted in full 360 degrees around the venue, no matter where you stood, how close or far, you could see everything. Along with all of the production mounted around walls, suspended screens allowed everyone to maximize their viewing pleasures. Upon arriving at the venue, ambassadors were already outside making sure everyone was having a great time, while keeping everything organized and directing everyone to the right places of entry. Waiting in line for security check was a short and pleasant experience due to staff just trying to make sure everyone was safe while still making keeping a smile on their faces entering the venue. As everything about these 2 nights was near perfect, this was one of the, if not the most perfectly organized and well put together event. It was truly a one of a kind experience for nearly each and every attendee. With that being said, see you guys in Bassingham.